Summer’s heat is slowly loosening its grip and fall weather is taking over. It’s the perfect time to give your home a once-over to see what you need to do to be fall-ready. Check your roof. Did summer storms damage your roof system? Stand back from your home and see if you notice missing or buckling shingles. Do you notice mold or mildew in your attic? These are signs you may have some roof repairs needed. Clean your gutters. Give your gutters a clean start to fall. Make sure they are free of debris before they face the onslaught of Autumn’s foliage. Overflowing gutters can lead to bigger issues like a cracked foundation or driveway. A clog free replacement gutter system might be best to avoid seasonal gutter maintenance. Check your lighting. Make sure you replace lightbulbs in outdoor lighting fixtures or determine where you have dark areas around your home. Not only will it help your guests find their way, it will help keep your house more secure. Test your front door. There’s no holiday that will test your front door’s ability to open and close smoothly like Halloween. So, before those super heroes and ghosts come knocking, make sure your front door is a treat not a trick to open. Power wash your home’s exterior. Summer’s heat and humidity can encourage mold or moss growth on a home’s exterior siding and walkways, while summer rain can leave an unsightly film on a home’s windows. While you can do this project on your own, it might be worth hiring a pro to be sure the power washing is done correctly avoiding spraying water that will force it behind sidings, under shingles or soffits. Replace failing windows. Faulty windows can lead to major heat loss this winter. If you noticed warmer temperatures creeping in around your windows, it may be time to swap out your problem window with a more efficient replacement window. The S. Department of Energy recommends conducting a blower door test to find where you are leaking energy. Clean your carpets. You’re in the sweet spot where summer’s humidity is waning, but winter’s freezing temps have yet to take hold. Feed the lawn. This is the time to aerate and fertilize. You can take on this project yourself depending on your lawn size and your ability or you can leave it to the professionals. Consumers’ Checkbook has some tips if you opt to select a lawn care service. Test your heating system. Now’s the time to do a maintenance check to be sure your heating system is ready to go to work. Arrange for that yearly tuneup and don’t forget to schedule a chimney cleaning. 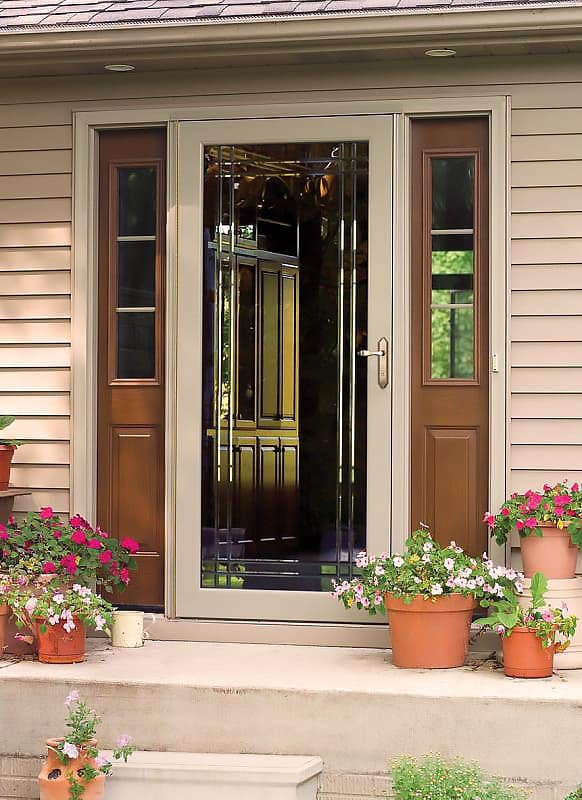 Consider a storm door. If you don’t want to replace a front door that feels drafty, a storm door can help with an extra layer of defense against the upcoming chilly temperatures. It also allows homeowners to keep their front door open to take full advantage of the waning light that comes this season. While cleaning carpets and aerating lawns aren’t in our wheelhouse, Thompson Creek can help you with most of your other Fall Checklist items. So say-‘so long summer’ and say ‘hello’ to our trusted experts to help check off your fall to-do list!